MuseØ, the Salty Donut and Patrizia Bozzi Design are coming to Wynwood. The fashion retailer, coffee and donut shop and furniture store will be the first tenants at the Wynwood Arcade, which is along Northwest 24th Street. Metro 1 launched leasing for the 20,000-square-foot commercial project in March. Asking rent is $55 triple-net, East End Capital Vice President Mark Schrieber said. East End is the developer and owner of 74 Northwest 24th Street. Tenants will be moving in early next year. MuseØ is an art gallery and “minimal high concept” clothing store, according to its website. Owner Kerby Pata said the 1,500-square-foot store will be modeled after a museum, combining art and fashion in a similar format. Prices for clothing will range from $500 to $4,000, Pata said. The Salty Donut will open in a 1,046-square-foot space in January and serve homemade donuts and coffee. In the meantime, the cafe will open a pop-up across the street on Dec. 3, in time for Art Basel. Owner Andy Rodriguez said the craft donut maker aims to stand out from coffee shops in Miami with brick walls and an exposed kitchen. “We want it to feel like it’s been around for 100 years,” Rodriguez said. The Salty Donut will partner with Intelligentsia coffee and will make donuts in small batches throughout the day instead of all at once in the morning. Donuts will range from just less than $2 to $3.50 and include classic glazed donuts, as well as “crazier” ones, like a blood orange mimosa brioche donut. Rodriguez said the craft donut maker has been operating out of a commercial kitchen. Patrizia Bozzi Design will open a showroom and store, as well, showcasing its European-style furniture and interior objects and accessories. Owner Luis Pulenta could not be reached for comment. 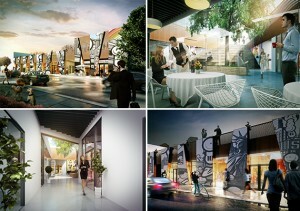 Wynwood Arcade is an adaptive re-use project. 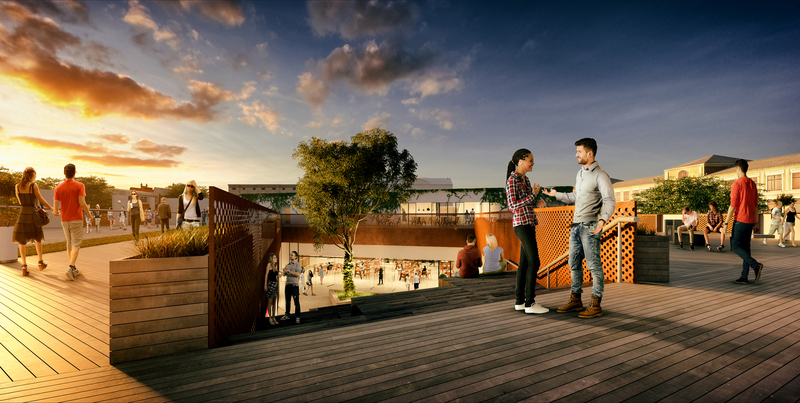 It has four entrances, an open-air central atrium, a cascading staircase and a rooftop bar and event space. The building is wrapped in a Wynwood-inspired mural. Tony Arellano, executive vice president of Metro 1, is the leasing agent.